Open daily for Lunch & Afternoon Tea. Dinner served Monday - Saturday. The Brasserie is the flagship restaurant within the Grand Hotel. Brilliant stay as always! We love this hotel. Nice venue for celebrations. We have been there many times before and will go again. Thanks. We regularly go for afternoon tea and we found this was the worst we have had. Unfortunately the cakes were not freshly made, they were like pre packaged cakes with 3 month shelf life and tasted dry. The overall afternoon was not up to standard and was not worth the cost. The service however was good. Excellent Mothers Day lunch. Everyone in our group really enjoyed the whole package. 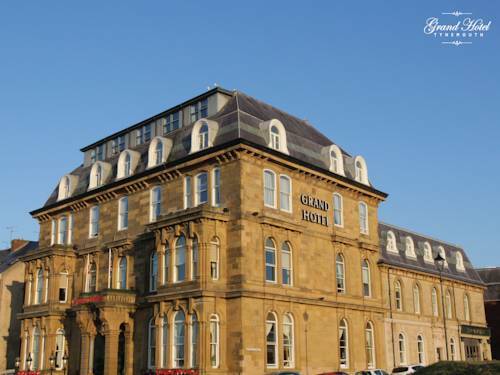 Beautiful hotel in a fabulous location. From our arrival to our checkout the staff were lovely, food delicious, rooms very comfortable, drinks reasonably priced and the hotel is spotless. Outstanding lunch, service and ambience we will be back. Thank you ! Really enjoyable time at the grand. Jack, who served us, was polite, pleasant and very efficient. 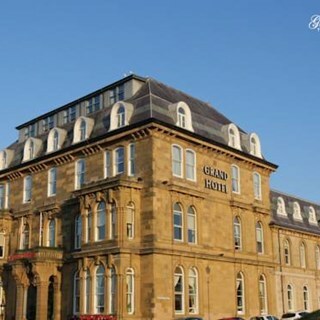 He is an asset to the Grand Hotel in Tynemouth. A lovely afternoon tea! There was a variety of delicious savoury and sweet offerings. I was there with three friends and had a great afternoon. We also enjoyed the environment and atmosphere. The BrasserieI is a nice big room with classic deco and a lovely bay window overlooking the sea. The staff were competent and friendly. Lovely classic hotel, lovely Sunday lunch and atmosphere. Terrible meal worst ever ! Waited one hour before getting out stater ! Asked one waiter who was very very rude told us as half of our party was late it was our fault ! Then we waited another hour for the mains we had beef it was supposed to be pink it was well done chewy and fatty ! Absolutely disgusting !!! We will not be back very very disappointed !!!!!! This was a lovely place to meet up with friends over lunch.....we'd asked for, and we got, a table with a sea view, which made it extra special, all the food was delicious and the staff were friendly and very attentive. We shall certainly visit again! It took ages to get a drink in the end we had to ask for one because we had been left sat there for so long then when we did order one of our drinks didn’t arrive I never got it the full tone I was there. Lovely atmosphere great food easy parking. Expertly prepared food. Great service. Lovely, unpretentious surroundings.